Boriana Jönsson is a women’s rights and peace advocate with a long and extensive experience in development and solidarity cooperation in Africa, the Balkans, the Caucasus and the Middle East. For over a decade she has been working on women’s empowerment in areas of military conflicts and war, in particular in the Balkans and Middle East. 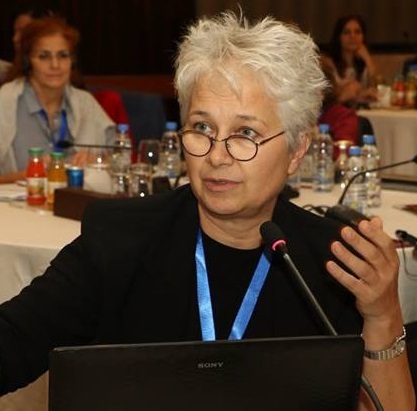 She is actively engaged in the global feminist movement and has been part of boards of different organizations, steering committees and consultative bodies of regional MENA projects on violence against women, peace and security. During 2012-2014 she facilitated the development of the Iraqi National Action Plan for the implementation of UNSCR1325.